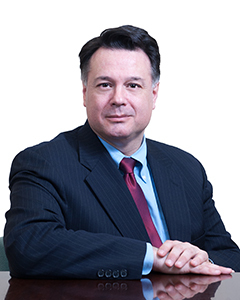 Nicholas Paone is a trial attorney with over thirty years of litigation and trial experience. He focuses on significant cases in New York, New Jersey and Pennsylvania. These cases run the gamut from medical and dental malpractice to professional liability, insurance coverage, general liability, Directors and Officers liability, construction accidents, products liability, construction defects, labor law, property damage, employment, business disputes, securities litigation, and insurance agents and brokers errors and omissions. 2nd Circuit Court of Appeals 3rd Circuit Court of Appeals M.D.PA New Jersey 1987 New York 1993 Pennsylvania 1987 U.S.D.C. D.N.J. U.S.D.C. E.D.N.Y. U.S.D.C. E.D.PA U.S.D.C. S.D.N.Y.